Fortnite Season 7 is here! Check out the full Season 7 Cinematic Trailer below which features the continuation of the storyline and explains current in-game events. Both the Season 7 Battle Pass Trailer and Cinematic Trailer were leaked ahead of their intended release by Fortnite KR. 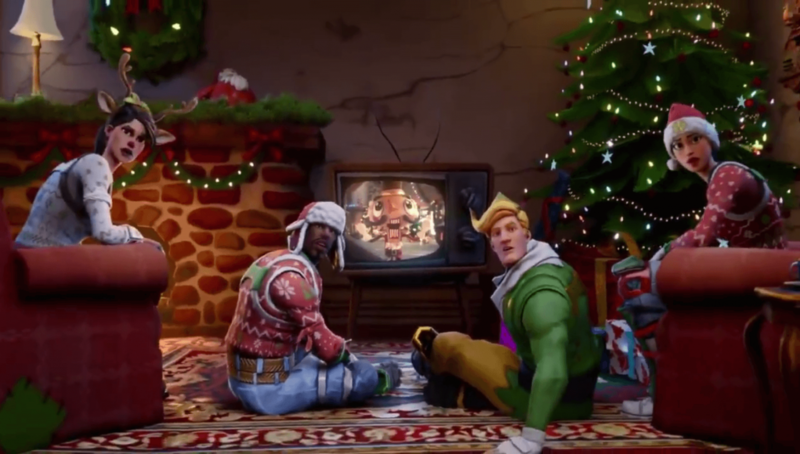 As seen in the trailer, Characters can be seen wearing the festive Skins which were available during Winter 2017. An Iceberg approaches their cabin, nearly colliding. Upon investigating, our characters find a crew of 5 new Skins featuring 4 Snowmen and a Captain. The Captain can be seen holding what appears to be sword. In the hands of this new crew are well-known Fortnite weapons wrapped in various gift wrapping. A new Pickaxe can also be seen in the hands of the right-most Snowman. It seems that these visitors are not friendly as they instantly launch an attack. Planes can be seen flying in toward the island, piloted by Snowmen. The Planes do appear to have the ability to fire mounted turrets. Stay tuned to @FortniteINTEL and FortniteINTEL.com for full Fortnite Season 7 coverage.